As Senior Governor Esther Roberton will lead the University's governing body, the University Court. The University of Aberdeen is pleased to announce the appointment of Esther Roberton as Senior Governor to lead its governing body, the University Court. Esther played a key role in the establishment of the Scottish Parliament as Coordinator of the Scottish Constitutional Convention, where she made a central contribution to the development of the Parliament’s principles, standing orders and procedures. 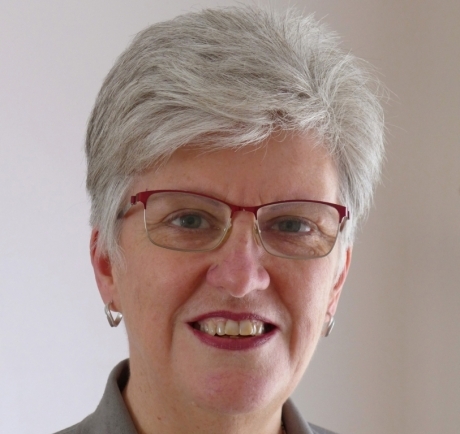 Currently Chair of NHS 24, she has served as Chair of the Scottish Further Education Funding Council and NHS Fife, which saw her invited to join the Court at the University of Dundee, first as an independent member then as Rector’s Assessor. The Senior Governor is responsible for the leadership and effectiveness of the Court and has a key role in managing the relationship between it as the governing body and the executive management of the University. “I am delighted to welcome Esther Roberton to the role of Senior Governor, and look forward to working with her to achieve our ambitions for the University. “The role of Senior Governor is critically important, and Esther brings a wealth of experience from the various high-level roles that she has occupied throughout a stellar career in public life. “Following new legislation in Scotland, this was the first time that students, staff and members of Court had been able to vote for the person they feel is best qualified to lead the Court, the University’s governing body. Esther Roberton, whose will serve a three-year term of office as Senior Governor, said: “I am honoured that Court has appointed me to this role. “Like Scotland, the University of Aberdeen punches above its weight in a range of ways, not least in securing the prestigious title of Scottish University of the Year 2019. “I believe that to compete on the global stage, Scotland’s economy needs to focus on high value-added tradeable goods and services and to think for a living. “The University’s contribution to energy, oil and gas, law and medicine to name but a few areas, plays a major part in our potential for success. Esther succeeds Martin Gilbert, who made a valuable contribution to the life, work and governance of the University for over two years. Her appointment commenced on 1 April 2019 for an initial period of three years.